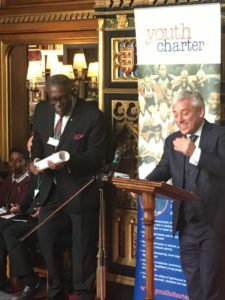 A great day yesterday with Youth Charter in Westminster. I’m on the board of a youth charity focused on getting kids from all backgrounds in to sport and empowering them in their future lives – more detail here. Today we presented our annual report with the support of speaker of the house John Bercow who hosted us in his private apartment in Westminster.